Since fantasy dramas and supernatural beings are my jam, I'm tentatively looking forward to Goblin. @princess nour90 thanks for sharing info. Are you sure it will be pre-produced? I haven't found this info in articles Of course I have translated through google and maybe have missed something. And there were no confirmation for Lee Dong Wook either. It is said that in google translator "Lee Dong Wook also being coordinated appearance". Kim Go-Eun Lee Dong Wook, were cast." The exciting match between the two big name writers is coming in November this year. Kim Eun-sook with tvN's new drama, "Goblin" (working title) and Park Ji-eun with SBS' 'The Legend of the Blue Sea' are anticipated to fascinate their drama fans in November. Both Kim Eun-sook and Park Ji-eun are star writers who have scored a huge success in terms of the quality of the material as well as the viewership rating. Park Ji-eun earned the trusted name as a writer with KBS 2TV 'My Husband Got a Family' and SBS "My Love from the Star". Kim Eun-sook with SBS 'Lovers in Paris' and "Secret Garden" listed her name as a star writer earlier than Kim Eun-sook. Although the airtime of their previous dramas did not fall in the same period, KBS 2TV's hugely popular drama 'Descendants of the Sun' created the well-matched success in the ratings of talkable topics compared to SBS "My Love from the Star", which drew the explosive popularity especially in Chinse community. Under these circumstances, as the forthcoming dramas by these two star writers are to compete with each other during the similar time period, drama fans are getting excited with the coincidence. Kim Eun-sook's new drama, "Goblin" is about a goblin, who has amnesia, and a god of death. Gong Yooand Kim Go-eun-I have been confirmed to headline the drama. Lee Dong-wook also has been confirmed for the drama. Park Ji-eun's new drama, 'The Legend of the Blue Sea' stars Jeon Ji-hyeon and Lee Min-ho. The drama borrowed a motif from a mermaid story. The ace producer of SBS drama department, Jin Hyeok is in charge of this drama. Both of the dramas show off the splendid cast. The critical point is the power of the story, which means the power of writing by the two writers. The projected airtime for "Goblin" will be most likely Friday & Saturday for now. And it will be Wednesday & Thursday for 'The Legend of the Blue Sea'. Although it seems that the airtime will not overlap, the match by the two star writers this November will be intense in and outside the dramas. I don't think it's a pre-produced drama. Maybe they only fliming more than 50% before broadcast first ep. This drama even not air for celebrate 10th anniversary year. Dear My Friends star fliming from late february and air from May. Maybe Goblin will star filiming from late July or August. Goblin will start shooting in September comes, it will broadcast in November. As to pre-production, if they will start filming in September there is no chance to have it 100% pre-produced. So they only fliming less than 50% before air. I have no idea. They fliming in Canada. Time is too less. 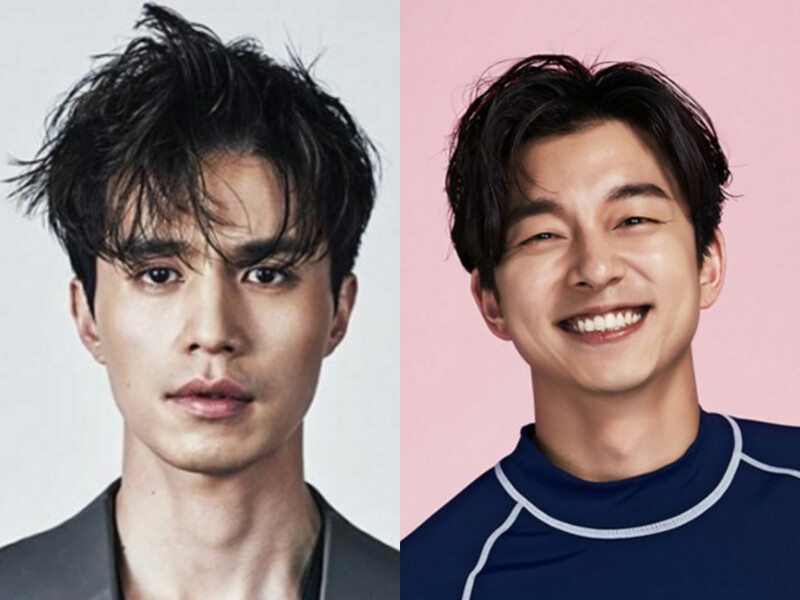 My Korean friend has said that according to the article it will be concentrated on bromance between Gong Yoo and Lee Dong Wook's charachters, who are so different but end up living together. They will get 2 females to form 2 couples (I'm so glad there won't be love triangle). - from Tv Report (which has bee translated by Hancinema about upcoming dramas of famous writers): The new drama by writer Kim Eunsook features the tale of a goblin and a grim reaper with amnesia who end up living together. Kim Go Eun is being considered for the main female lead and Lee Dong Wook has been chosen along with Gong Yoo to be playing the roles of the two male leads. From other article it is said that drama will be pre-produced and filmed partly in Canada: Goblin will be pre-filmed with the goal of being broadcast on tvN in November. Gong Yoo, Lee Dong Wook , and Kim Goeun have been cast. Still, I can't get how this drama can be pre-produced. But let's wait and see. And I'm curious weather KGE is confirmed or not. And who will be casted for Dong Wook..
introduction from Gong Yoo, host of the program " the guest for this evening is Mr Lee Dong Wook, the latest face joins the PR unit in the army, he is an actor, he is good in acting. same as Gong Yoo , he is now a NSman "
Wookie caught a flu. he found the most taxing task so far is the 30km walk. They talked about the army life. They do not get used to the army life easily as they are not the ordinary NS guys and and Gong Yoo is giving Wookie some tips on that. Wookie felt that Gong Yoo is like an elder brother to him and Gong Yoo looks exactly the same in person as the image he always has of him. Wookie's fans wrote letters to his mates in the training centre. His nickname at his fans club is Captain. Gong Yoo is glad to see the close ties of Wookie with his fans. GY asked if DW reported to the Korea Defense's media agency immediately after his 5 weeks training? DW answered, yes. as this is the first time being interviewed on air since enlisted, DW looked a bit nervous. DW's family members include his mum and sis, visited him the week before. DW has told his sis that he misses Coke and chocolate pies, as such his sis brought him a lot of tibbits. Hello, I want to join the party too, -assume Wookie already confirmed. Sometimes K-media just released information for marketing purposes, but behind the scene I think it's done deal. I'm not very fond of the writer previous projects, but she is better than many-what I most admired she is very very good in marketing especially building the hype and makes public agree with her subject-and she has good eyes on her stars. It's raining lollipop now in dramatroll office. We welcome the handsome charming dudes to dramaland with open arms. Actor Lee Dong Wook has been confirmed to join Gong Yoo as part of the main cast of new tvN drama “Goblin” (working title). Gong Yoo will play a servant who is stabbed by his master’s sword but does not die and transforms into a goblin who lives eternally. Lee Dong Wook will play a king who dies unwittingly and wakes up as the angel of death. The two characters coincidentally end up living together and develop a close friendship despite their bickering. Two female cast members, whom have yet to confirmed, will round out the main cast as Gong Yoo and Lee Dong Wook’s couple counterparts. Actress Kim Go Eun previously confirmed in late May that she was looking over one of the female roles. Written by Kim Eun Sook, whose hit dramas include “Heirs,” “Secret Garden,” “Lovers in Paris,” “Descendants of the Sun,” “Goblin” is slated to premiere in November of this year on tvN. What are your thoughts on the casting so far? Whom would you like to see as the female leads? since i love gongyoo, please makes yoon eun hye back !